These Terms and Conditions are issued by The Copas Partnership. Acceptance of these Conditions will result in a legally binding contract between you and the venue. By purchasing a ticket or entering the venue you are accepting these Terms and Conditions. You can download a PDF of these Terms and Conditions here. These Terms and Conditions of Entry consist of the terms and conditions set out in General Conditions as well as those applicable to each ticket type or area. Please ensure you have familiarised yourself with all the relevant areas. “You” means you as the holder of the Ticket and guests invited by you and “Your” shall be read accordingly. “Ticket” means any ticket for you to attend an Event. 1.0 We reserve the right to ensure that any customers we consider to be causing offence to others leave the site. We reserve the right to refuse entry, even with a valid booking. 2.0 We will not be liable for death or injury (except in the case of proven negligence), or for damage to any property, or for any losses or other liability incurred by you or any other person connected with your booking. 4.0 All vehicles and property are left entirely at the owner’s own risk whilst at Remenham Farm and Temple Island Meadows. We do not accept liability for any damage or theft that may occur. 5.0 Please be aware that a mixed crowd of people attend each year. Whilst we do expect high spirits we ask all our customers to be sure that their behaviour does not blight other groups’ enjoyment. 6.0 With the exception of special assistance dogs, no animals are permitted at the Venue. 7.0 No trading without the consent of the Management. Anyone found doing so will have their goods confiscated and they will be removed from the Venue. 8.0 Management reserve the right to refuse admission. Any individual who has previously been ejected from the site should not purchase a Ticket as they will be refused entry to the Event. 9.0 Failure to follow any of the Event Rules and/or Terms and Conditions or behaving in a manner deemed unsociable or potentially dangerous will result in You being ejected from the Event without refund. The Management may prosecute anyone found to be breaking the law. 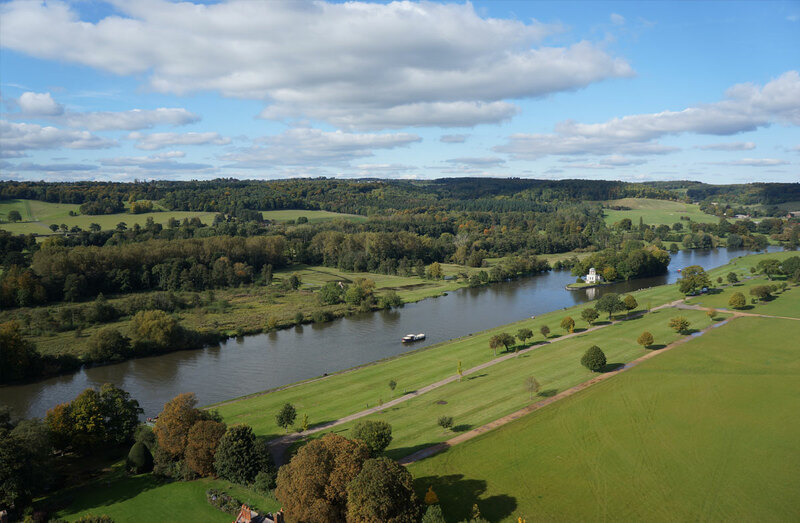 10.0 The Henley Festival, racing and on the water activities are not organised or controlled by the Venue. 11.0 Dangerous driving will result in immediate removal from the venue. Driving under the influence of alcohol will be reported to the police and you will be removed from site. 12.0 You, your vehicle and/or possessions may be searched before entering the Event. If illegal substances are found, you may be prosecuted. Management, at its discretion, may confiscate any item that is deemed illegal or unsuitable. This includes illegal or intoxicating substances, fireworks including flares, sparklers and any flame, smoke or gas device, smoke canisters, portable laser equipment, air horns, spray cans or any item that can be considered a weapon. Any person in possession of such articles may be refused entry or ejected. 13.0 Please respect the local residents when travelling to and from the Event and keep noise to a minimum after 11pm. 14.0 The Management operate a zero tolerance policy with regards to any violence or abuse (verbal, on email or physical) towards any of the staff at any time. Anybody exhibiting inappropriate behaviour may be removed from the event. If this is prior to the event we reserve the right to cancel the ticket and refuse entry to the event. More serious episodes will be reported to the police. 15.0 The Copas Partnership reserve the right to cancel your booking immediately if you fail to adhere to any of our Terms. In such an event, no refund will be made. We reserve the right to ensure that any customers we consider to be causing offence to others leave the site. We reserve the right to refuse entry, even with a valid booking. We will not be liable for death or injury (except in the case of proven negligence), or for damage to any property, or for any losses or other liability incurred by you or any other person connected with your booking. The Management shall not be in breach of this agreement, nor liable for any failure or delay in performance of any of its obligations under this agreement arising from or attributable to acts, events, omissions or accidents beyond its reasonable control (Force Majeure Event), including but not limited to any of the following: (a) Acts of God, including but not limited to fire, flood, earthquake, windstorm or other natural disaster; (b) war, threat of or preparation for war, armed conflict, imposition of sanctions, embargo, breaking off of diplomatic relations or similar actions; (c) any communicable disease or threat or fear of communicable disease (whether actual or perceived) which leads to (i) the imposition of quarantine or restriction in movement or gathering of people or animals by any national or international body or agency or (ii) any travel advisory or warning being issued by a national or international body or agency; (d) terrorist attack, civil war, civil commotion or riots; (e) nuclear, chemical or biological contamination or sonic boom; (f) voluntary or mandatory compliance with any law (including a failure to obtain any license or consent needed or any change in the law or interpretation of the law); (g) fire, explosion or accidental damage; (h) adverse weather conditions; (i) collapse of building structures, failure of plant machinery, machinery, computers or vehicles; (j) any labour dispute, including but not limited to strikes, industrial action or lockouts; (k) non-performance by suppliers or subcontractors (other than by companies in the same group as the party seeking to rely on this clause); (l) interruption or failure of utility service, including but not limited to electric power, gas or water; (m) a decision taken by Operators , operating at The Venue(n) the death of a member of the British royal family; and (o) the failure to make an appearance at or to participate in Henley Royal Regatta of any rowing team or individual competitor, star guest, artist, DJ or performer. Where the Venue is unable to perform its obligations under these Terms and Conditions it shall use its reasonable endeavours to notify you t of the nature and extent of the Force Majeure Event causing its failure or delay in performance. 17.2.3 Waived his personality rights and/or privacy rights to the extent necessary to permit such use. We will use our discretion in deciding when to enforce these Conditions. The nature and complexity of event operations means that we are unlikely to enforce these Conditions in every instance in which there is a breach. However, notwithstanding this we nonetheless reserve the right to enforce (without limitation whether by taking practical steps and/or bringing legal proceedings) in every instance where we deem it appropriate. No failure or delay to enforce, or decision by us not to enforce, should be construed as a waiver of our right to do so. Bookings will only be confirmed on receipt of full payment & boat measurements. Once your mooring space is allocated, we are unable to change this. We use the information provided on your application form to allocate a suitable mooring position. We cannot accept responsibility for any problems that could arise as a result of incorrect dimensions being provided. You have booked a ‘mooring space’ this does not grant you permission to erect marquees on the riverbank. Small gazebos are acceptable. BBQs are only permitted if raised well above the ground and we reserve the right to impose a BBQ ban according to weather conditions. Moorings cannot be sub-let. The booking is made with the party named on the booking form and is non-transferable. We reserve the right to change the ‘type’ and ‘structure’ of the mooring. Mooring rates, as quoted, assume ‘private use’ at all times. If you plan to use your boat and/or mooring space for commercial purposes, this must be agreed in writing from The Venue in advance. We reserve the right to cancel your booking and remove your boat from our site if this is not adhered to. No camping in tents or vehicles is permitted by the moorings. Under 18s accompanied by their parents at all times. Music that can be heard from other boats or the river bank is not permitted at the moorings. Please respect other boat owners and our neighbours on both sides of the river. We have a limited number of moorings that are more easily accessible for registered disabled users. Please request at the time of booking this is on a first come first served basis. Please remember that the mooring area is located adjacent to a public footpath which must be left clear at all times. This is designated by Wokingham Borough Council as 7 metres from the riverbank. Please observe the rules of the river when entering and leaving your mooring. The Environment Agency does not allow boats to be moored two abreast. We cannot accept bookings from boats wishing to moor two abreast and we reserve the right to enforce this rule on site as necessary. Please familiarise yourself with the Harbour Masters notice once issued. There are two events taking place on the river in this period the Henley Masters Regatta 8-9 July and the Henley Swim Mile on Sunday 10th July 2017. All property is left on site at the owner’s risk. We cannot accept responsibility for any loss of injury, which may occur. Please notify The Copas Partnership Office if you notice anyone acting suspiciously around the moorings. Should you need site security please call the office immediately. Dogs must be kept on leads to ensure enjoyment for all. Dogs are only permitted in the mooring area. The no dogs except assistance dog’s general terms and conditions apply to all other areas. Please familiarise yourself with The Dangerous Dogs Act 1989. Any dogs deemed to be ‘out of control’ will be reported the police. Please take care when getting on and off the pontoons. Please only wear sensible shoes when getting on and off your boat & mooring. Only one person should use the pontoon at any one time. We accept no responsibility for your safety if you are using the pontoons whilst intoxicated. Please use a torch at night when getting on and off your boat. No tables, umbrellas or BBQs are permitted on the pontoons. Your pontoon should be kept clear at all times. All Access is via GATE A only. To ensure we are able to offer the most flexible access to your mooring, we have ensured the gates will be manned during the following hours. Outside of these times there will be no vehicle access to your mooring. Pedestrian access is by walking along the public footpath along the river. Please note gates will be locked outside of these times with secure padlocks. Please follow the blue signage on the internal tracks to reach the moorings. You will need to register online prior to the event for your vehicle tickets, the tickets will be issued as unique E-tickets and these will need to be presented at GATE A. Please ensure all your guests have the correct passes as they will not be permitted without the correct ticket. Please note on Sunday 9th July the Henley Swim Mile event is taking place, please drive carefully as there will be more pedestrians and children onsite on this day. There is no access to the moorings after midday on Monday 10th July, please ensure all vehicles have left site by this time. We regret that due to thefts of the coded lock system we implemented in 2015 we are no longer able to offer a coded padlock unmanned entry system. If any damage is done to any of the gates or the padlocks by pedestrians or vehicles trying to enter or exit the venue this will be reported to Thames Valley Police. If the event is cancelled due to external powers and/or factors beyond our control (e.g. flooding), refunds will be made with a handling charge deducted at our discretion according to the time of cancellation and costs incurred to date. The Copas Partnership reserve the right to cancel your booking immediately if you fail to adhere to any of our terms and conditions and/or Harbour Masters Notice. In such an event, no refund will be made. If The Copas Partnership is forced to cancel your booking for reasons not associated with external factors or factors listed above, a refund will be made with a handling charge deducted at our discretion according to the time cancellation and costs incurred to date. We will not be liable for any loss of profit that may result. In the event of your cancellation with more than one months notice, we will attempt to re-let your mooring. If we are able to re-let your mooring, an administration charge 25% of booking fee will apply. If we are unable to re-let your mooring, no refund will be given. Wristbands and passes must be returned before a refund can be issued. In the event of cancellation with less than one months notice, no refund will be given.